Thursday, October 11th is the U.N.’s “International Day of the Girl Child” and we’re celebrating by supporting our 2018 campaign in partnership with the Caterpillar Foundation for charity: water, and also through showcasing four bold women influencers in the work industry. 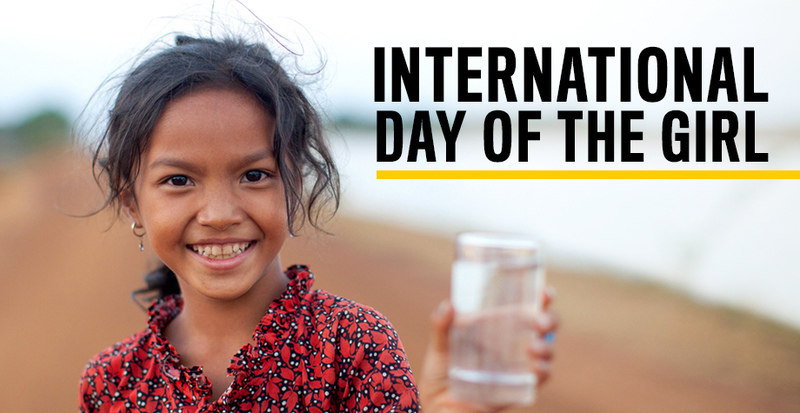 For every like or share of our posts on social media today about Day of the Girl and our charity:water campaign, or on any of the women influencers posts that are liked or shared, we will be donating clean and safe drinking water to one person in need. Clean water can improve health, increase access to food, grow local economies and help kids spend more time in school. In Africa alone, women spend 40 billion hours a year walking for water, and they are responsible for 72% of the water collected in Sub-Saharan Africa. On social media, you can use the hashtag #share💧boldly on your posts and that will count towards our goal to bring clean and safe drinking water to one person in need. The Caterpillar Foundation will donate $30 (the average cost to bring one person clean water) for every 3 social likes or 1 share to charity: water, up to a maximum of $250,000. You can learn more about our efforts with charity:water on our website here. Here’s a look at four women’s take on being women in the work industry. How did you get started? Do you have a role model or someone you look up to in the industry? I was pregnant with our first child (she’s 8 now) and my nesting instinct kicked into overdrive as I was preparing our home for the new baby. I stumbled across Ana White’s website (she is now my dear friend and business partner!) and started learning how to build furniture from her plans. 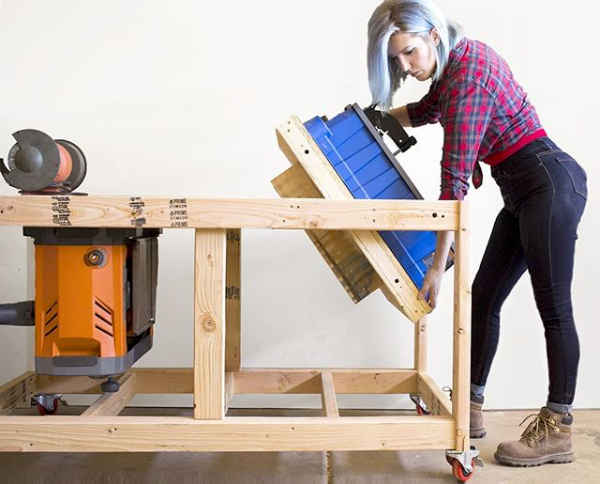 I received a compound miter saw as my first mother’s day gift and I’ve been building ever since, sharing my processes and plans on my website. Is it important for you to be a role model for young girls interested in “work” professions? Do you any have daughters or sons you are hoping to inspire with your career/work? Teaching my son and daughter by example is really important to me. 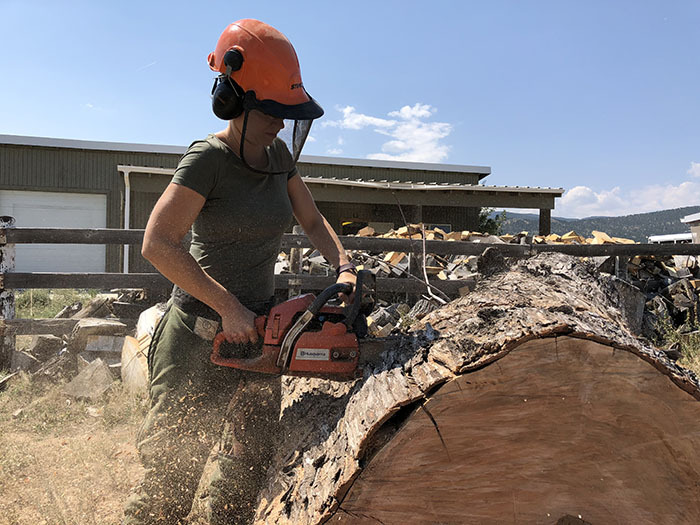 They see me working outside, building things, problem-solving, and challenging myself, as well giving myself a creative outlet – apart from just being ‘Mom’. I love getting them involved too and I hope that inspires them to be self-sufficient and capable! Now, whenever my kids see something in a catalog or a commercial, they don’t say, ‘Mommy, can we buy this?” They say, “Mommy, can we build this?” and I think that’s pretty awesome. 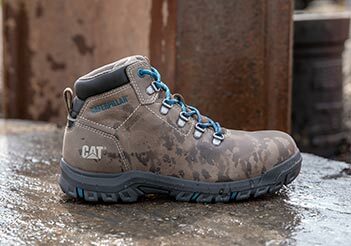 Shop Jen’s Cat boot pick of the Freedom Pull On Steel Toe. Introduce Yourself! Who are you? What do you do? We are Whitney and Ashley, sisters from Ft. Worth, Texas. We design and build custom furniture and teach people how to build it themselves, on our website, shanty-2-chic.com, and our Youtube channel. We do small and large home renovations, have had three specials on HGTV and we have a furniture/home decor line with AtHome stores, available nation wide. We started our website, as a hobby, ten years ago. We are former competitive cheerleading coaches so we have always been drawn to teaching. We started our website to share how we were decorating our homes on a budget and it took off. We would both say that our grandmother, Meme, is one of our role models. 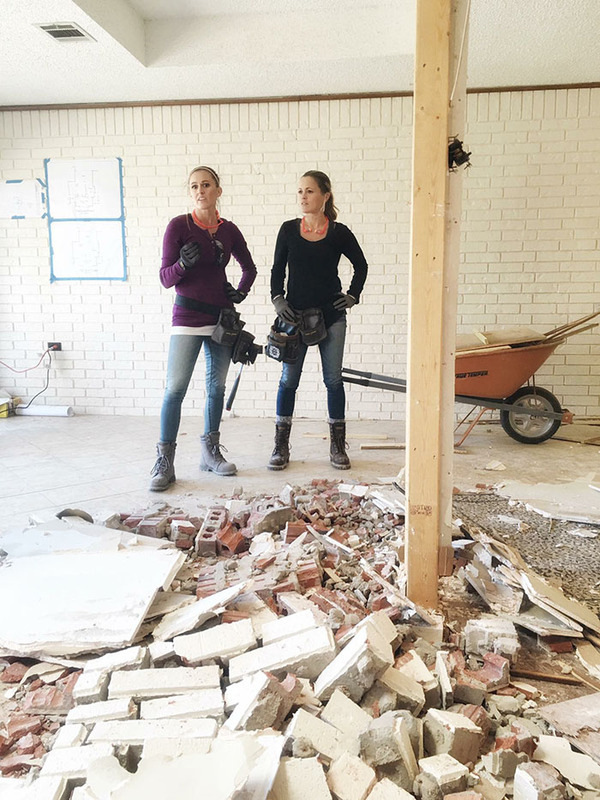 She was an interior designer and ran her business through her home. She helped us both decorate our first homes and was the first person that we both learned to stain with. She never used power tools but she taught us how to DIY! What do you like most about being a woman in the industry? We love that we are breaking stereotypes and inspiring men, women and kids to work with their hands. We love getting pictures from our readers, of large pieces of furniture that they built from our plans. It’s usually their first time building and they are so proud! Ten years later, that is still what inspires us the most! Is it important for you is it to be a role model for young girls interested in “work” professions? I do not have any children of my own, but I often have people tell me that their daughters are inspired by my work – which is probably the most rewarding compliment I could ever receive. 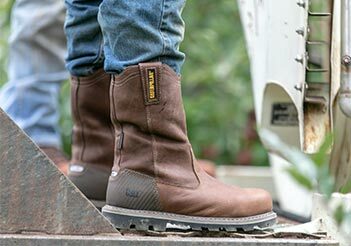 Shop Ashley’s Cat boots pick of the Kenzie Steel Toe. 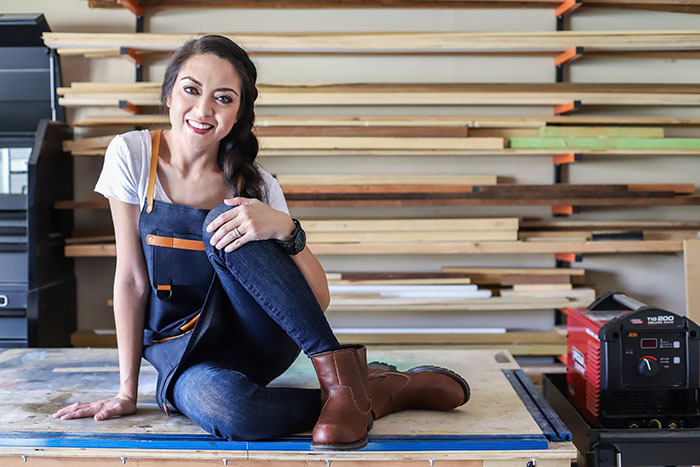 How important do you think it is for girls to go into trades, construction, or traditionally male- dominated hands-on careers and work? It’s very important for girls to enter construction trades, just as it’s important for boys to enter them. Humans are humans and work is work. I want to encourage all young people to express their creativity, learn responsibility, and experience the pride one gets from working with their hands. No one should be limited by which gender they identify as, or from what background they originate. Those who are willing to take risks and get their boots dirty are the ones who keep our world moving forward. Is it important for you is it to be a role model for young girls interested in “work” professions? Do you any have daughters or sons you are hoping to inspire with your career/work? As I share my projects, I hope I inspire others to start dreaming and problem solving. Girls are capable of anything. I have two 9 year old sons. In our home, we encourage self-reliance. Hard work is an essential and rewarding part of life. 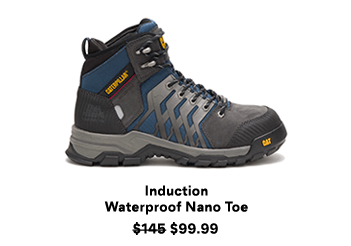 My sons have grown up with a mom covered in sawdust and who fights Dad for workshop space. They don’t know anything different. They have no reason to think a woman’s roll should be defined differently than a man’s. 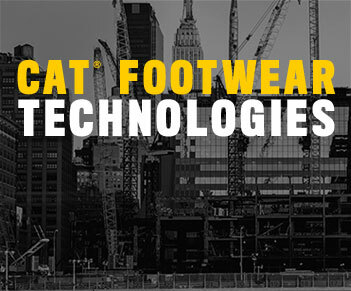 Shop Elisha’s Cat boots pick of the Superstat Composite Toe.